Voters will decide: Should UW have non-resident trustees? 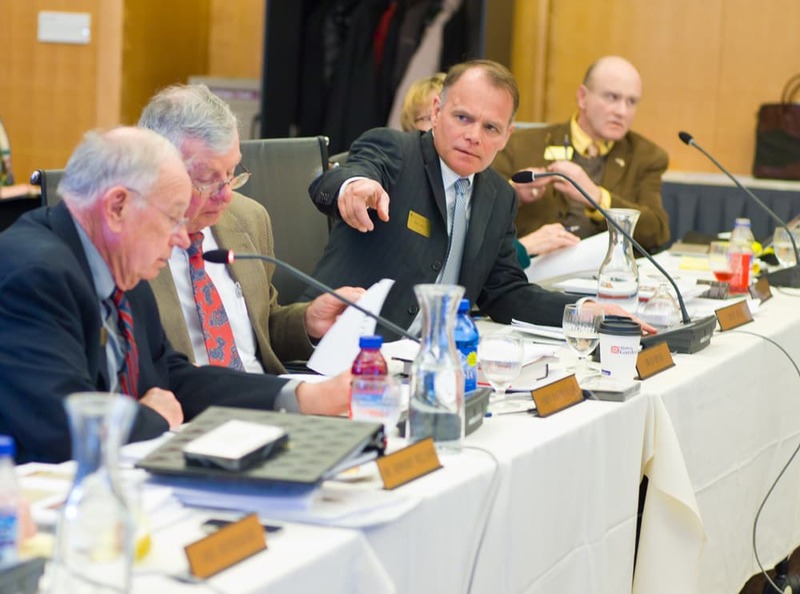 When Wyoming voters go to the polls Nov. 4, they will consider a proposed amendment to the constitution asking whether out-of-state residents should be allowed to serve on the University of Wyoming board of trustees. 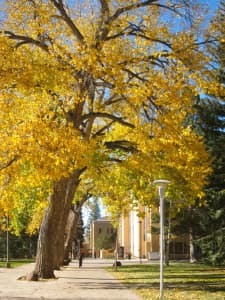 Proponents say it would open up the prospective trustee pool to non-Wyoming residents with connections to the university. That could help represent the interests of alumni who have left the state. Opponents say it is a measure seeking to change the constitution without meeting a pressing need. Former trustee Ann Rochelle said the state should consider opening up trustee seats so students or faculty could be voting members, rather than looking to create spots for out-of-state trustees. According to a 2010 survey of the Association of Governing Boards, 50.3 percent of public colleges and universities nationwide include at least one student as a voting member of the board of trustees. Boards included a faculty member as a voting trustee at 13.3 percent of public institutions. At least one staff member served as a voting trustee at 7.2 percent of public colleges and universities. Meanwhile, almost all public universities in states neighboring Wyoming have boards made up entirely of residents in those states. That includes the Montana State University system, the Colorado State University system, and the universities of Colorado, Nebraska and Utah. The Colorado School of Mines is an exception, having one out-of-state trustee — a Chevron executive from Houston — on its seven-member board. Going further afield, top ranked public schools like the University of Michigan and engineering powerhouse Texas A&M also had boards made up of in-state residents. Rochelle also noted that land-grant institutions were created under the Morrill Act primarily to serve the needs of the state — not non-Wyoming alumni or other constituencies. “Do out of-state-people know the state?“ she asked. The measure comes from a 2013 legislative resolution and bill proposed by Sen. Ross. 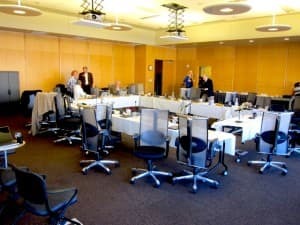 If it were to pass, the board of trustees would increase in size from its current 12 members to 13, and the governor would have the option of choosing at least 20 percent of the board (two trustees) from outside Wyoming. 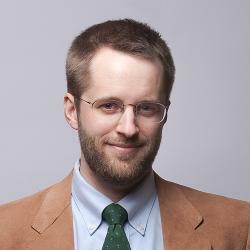 More than half of University of Wyoming alumni live out of state, he said. Though Ross said he didn’t have anyone specific in mind as a prospective trustee, he mentioned UW Foundation trustees Eric Marsh and Greg Hill, two members of the UW engineering task force, as examples of the kind of people who might be attracted as an out-of-state trustee. Hill, a UW donor and executive for Hess Oil, may already be eligible as a university trustee through his residence in Jackson. University trustees have not taken an official position on the proposed amendment, though they discussed it at a recent meeting. “There was support among trustees for the amendment but they didn’t think it was appropriate to take a position as a board,” Boswell said. At least one former trustee agreed with Ross’ premise. “The advantage of having out-of-state trustees in the mix is to give the governor a broader pool of potential candidates,” said former trustee Rita Meyer. Other former trustees had reservations about amending the constitution for this purpose. Ross said he’s heard only one, minor complaint. Faculty and student representatives showed tentative support for the measure. Faculty Senate president and education professor Ed Janak says his group hasn’t addressed the issue in any official way, but he has seen a mix of strong opinions for and against the idea. “I do not want to give a statement representing that body,” he said. Janak said he would like faculty and staff representatives to be named ex-officio members of the trustees, which would enable them to participate as non-voting observers in executive sessions. Currently the student representative from ASUW is allowed to observe executive sessions, while faculty and staff presidents are not. While Janak said that faculty had pressed for a voting position on the trustees board in the past, that was not a unanimous view, and many considered it more politically expeditious to seek ex-officio status instead. Wyoming statute mandates that the university trustees be selected from the seven different judicial districts in the state, with no two trustees coming from the same county. There is no stipulation that trustees be alumni of the university. No more than seven trustees may be members of the same political party, a law which received attention after a Casper Star-Tribune article noted it was not being followed. 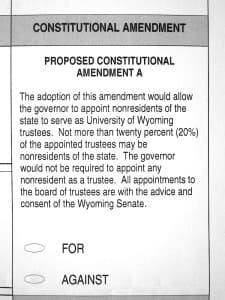 The proposed constitutional amendment adds language to Article 7 section 17 of the constitution to remove the restriction that appointees to the civil office of university trustee (and no other office) must be a qualified elector — a resident eligible voter — in Wyoming. Many boards related to UW have representation from people who live out-of-state. Ten of the 13 UW Foundation board members are from outside Wyoming, including the board chairman Scott Neu, a UW alum who lives in Georgia. A number of advisory boards have representation from out-of-state. 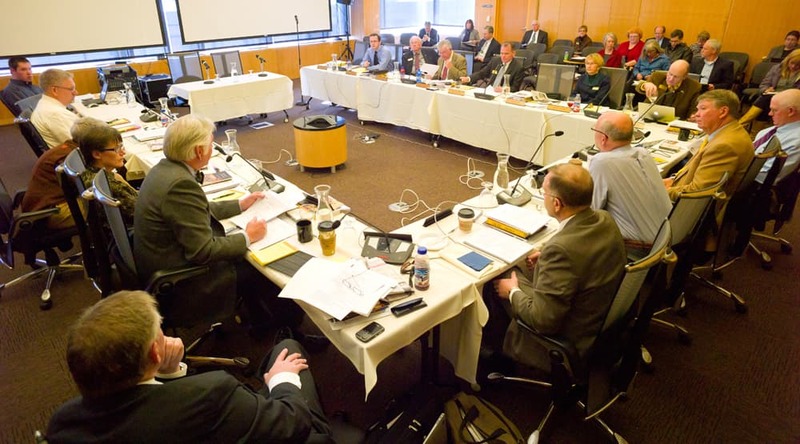 The College of Engineering has an advisory board made up largely from non-Wyoming members. Twenty-three out of 42 members of the College of Business advisory board are from out of state. 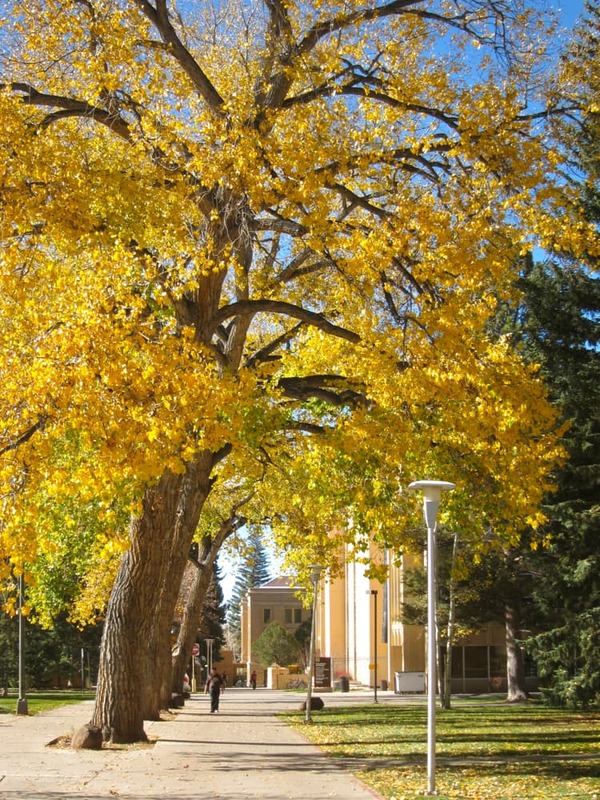 Other university boards have higher representation from Wyoming residents. Only six out of 24 members of College of Agriculture advisory board are from out of state. Twelve out of 16 members of the Haub School advisory board are from Wyoming. Residence status was not listed for College of arts and sciences board of visitors. While the measure hasn’t been debated significantly by the general public, a number of media outlets have taken a stand on the ballot measure. None of the newspapers mentioned below has contemplated adding faculty or students as voting trustees, according to a WyoFile search. The Casper Star-Tribune published a report by Joan Barron with quotes from Rep. Mike Madden (R-Buffalo) and UW history professor Phil Roberts speaking against the amendment. The Wyoming Tribune Eagle published a report in which Sen. Kermit Brown (R-Laramie) and Sen. Ross supported the amendment (they both sponsored it) while Sen. Larry Hicks (R-Baggs) opposed it. Just last week, trustee Warren Lauer of Laramie passed away, leaving a vacancy that will have to be filled. If the constitutional amendment passes, the board would increase from 12 to 13 members. That means next year’s slate of trustees could have six new members out of 13: one to replace Warren Lauer, four to replace people whose terms are expiring, and one to raise the total to 13. The next cycle of appointments will also have the potential to reset the party balance of the board, which currently is at nine Republicans and two Democrats, according to voter registration records reviewed by the Casper Star-Tribune. Statute says that only seven trustees may be from one party. Currently, trustee party affiliation is only tracked at the time of the trustees appointment. That means a trustee appointed while a member of one party can switch to the other party. That’s apparently what happened with at least two trustees, since the only three Democrats on the board as of last month were Lauer, Larry Gubbels of Douglas, and Wava Tully of Lusk. 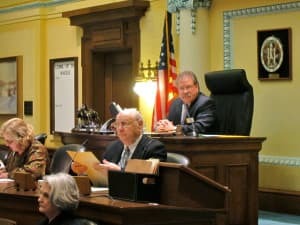 “There are some 200 appointments the governor has to make and the senate has to approve, and I don’t think there was an unbalance at the time we approved the appointments,” Sen. Ross said. The new slate of trustees isn’t the only upcoming change in the leadership at the university. A number of administrators, including the president, the vice president for academic affairs, and a number of deans, are on interim status. The trustee appointments made by the gubernatorial candidate elected this November will have a significant influence over the future of the university, which is attempting to rebuild after several years of administrative upheaval. “I think it gives the governor a terrific opportunity to reshape this board without going out of state,” Jorgensen said. Party affiliation as of September 2014. Update: This story has been corrected to reflect that faculty and staff have historically been allowed to participate in trustee meetings without voting, though they are not permitted to observe executive sessions. Tony is right. With 200 appointments to make, there is no way we should expect our state’s chief executive to follow the law on every single one of them. So his brother is on the Board, which is also stacked with Republicans and mineral extraction boys. How can we possibly expect the governor to follow the law with those 200 appointments? Especially given that the trustees are too busy to follow the rules around conflict of interest disclosures, how could the governor possibly know that the Board wasn’t in compliance with state statutes? No wonder they’re asking to expand the Board to out of state donors. Like the governor, they may just be too busy to know what they’re doing. Where does Freudenthal work these days? I bet he might have a perspective. One thing: I wish this story got a little more specific about the people Tony Ross met who he feels are are being unjustly excluded. I’d especially like to know which corporations they represent and whether they expect their logos to be on the football team’s jerseys. Does anyone else notice anything about the photo of the old white men, or is it just me? The University is a little bit of a train wreck. Maybe the lack of disclosures around conflict of interest, the homogeneity of Board members and the focus on donors instead of students has something to do with that. Maybe. Maybe I’m just being provincial, like Tony said, but don’t other states have elected boards of regents? Mead wants this, so he can appoint mineral executives to the board. Nothing specifies alumni. Carpet baggers will NOT contribute, and their job will be to further degrade the university science education. There is no other purpose for this change in our Constitution’s checks and balances. The board already have members who obfuscated their conflict-of-interest statements. This is an additional attempt at turning Wyoming into the Company Store. 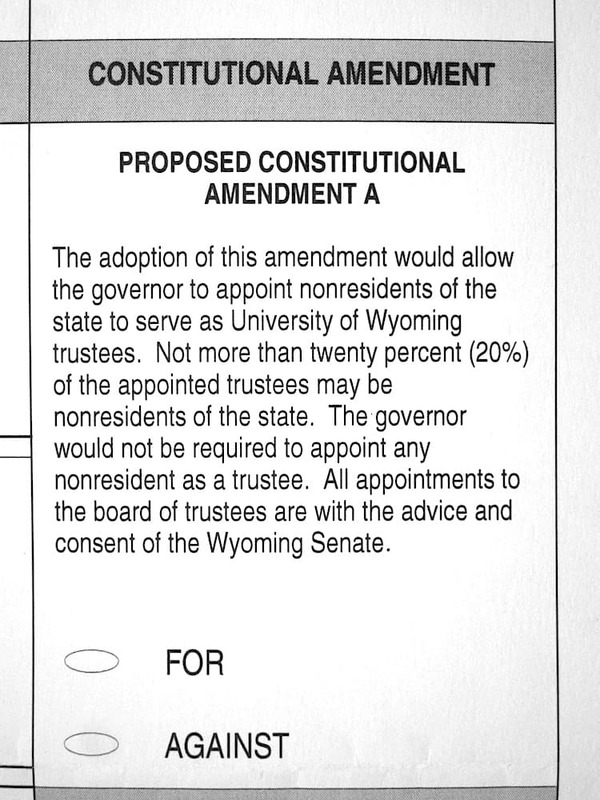 I hope Wyomingnites will protect our university and vote no. After 4 years of salary drought, the Board of Trustees had in its power the ability to raise the morale of UW employees by allotting a general increase – with a little set aside to improve salary discrepancies. What did they do? They decided to call it a “merit” increase with an award only for work in 1 out of 4 of those years. And the “awards” were left in the control of few people, many of whom have questionable appointments. Rather than allot a general increase (a pittance no matter the allocation) with kind words to thank the community for its service, they decided to make the matter punitive and discriminatory. There is a reason the UW staff and faculty have spoken out. This Board doesn’t have any connection to the state employees it supposedly governs.